Dec 28, 2018 in "Holidays at the Magic Kingdom"
Here is the entertainment line-up for celebrating the New Year countdown to 2019 at Walt Disney World. As always, there are no fireworks at Disney's Animal Kingdom or Disney Springs, and the Magic Kingdom will be offering its firework celebrations on both December 30 and 31. Park hours on December 30 and 31 2018 are 8am to 1am, with Extra Magic Hours from 7am to 8am. Fantasy in the Sky Fireworks ­– Guests will ring in the New Year in front of Cinderella Castle with the fireworks show that will take place Dec. 30 and 31 2018, beginning at 11:50 p.m. Additional showings will light up the sky both nights at 6:30 p.m.
Frontierland and Tomorrowland New Year’s Celebration Dance Parties – 6:45pm to 1am. 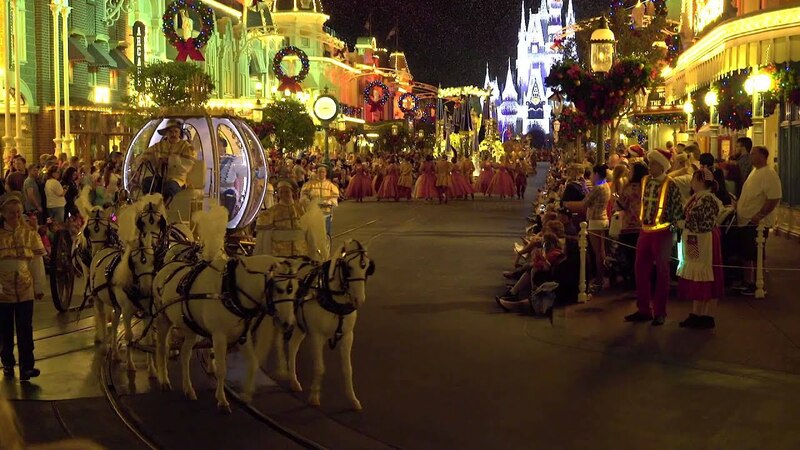 Mickey’s Once Upon a Christmastime Parade - noon and 3:30pm. A Totally Tomorrowland Christmas - 12:15, 1:10, 2, 3:50, 4:45, 5:40pm. A Frozen Holiday Wish - 6pm. 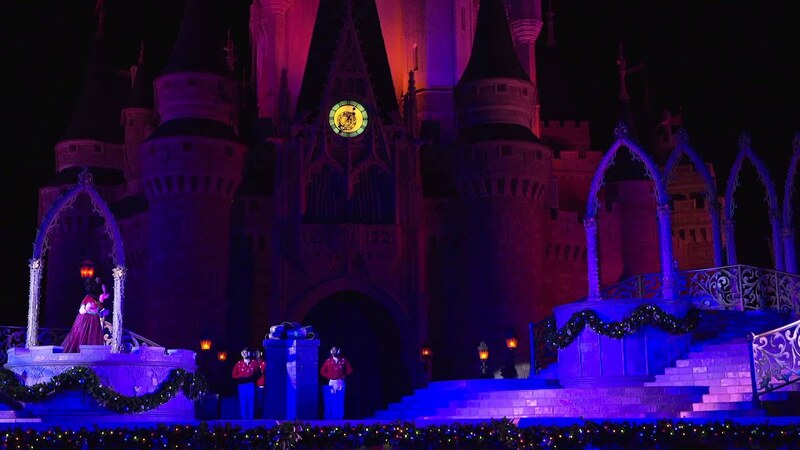 Mickey’s Most Merriest Celebration - 7:45, 8:45 and 9:45pm. Park hours on December 31 2018 are 8am to 1am, with World Showcase opening at 9am. Hats and Horns will be distributed from 4pm near to Innoventions West, Wonders of Life and The American Adventure. 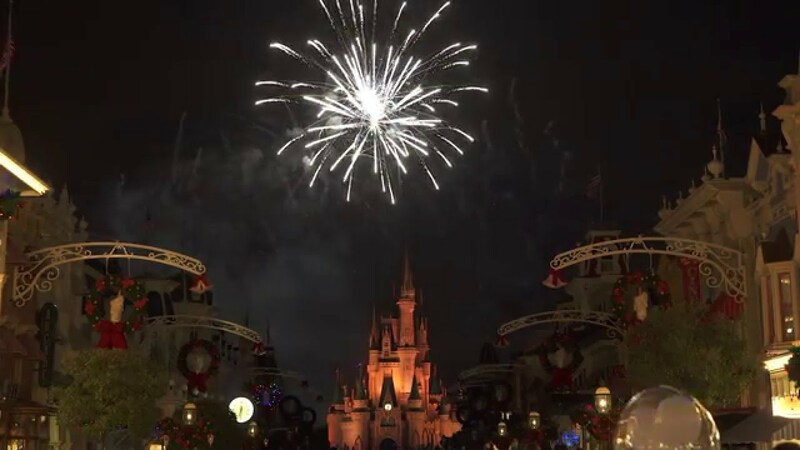 New Year's Countdown Fireworks – The spectacular starts at 11:40pm. IllumiNations will also play at 6:30pm, with holiday finale. Fountain Stage 7pm – 1am. Near Pin Central (Silent Groove) 7 - 11:35pm. United Kingdom - 7:20-8, 8:25-9:30, 9:55- 10:30,10:55-11:35pm., 12:25-1am. America Gardens Theatre: DJs - 1:00pm - 5pm, 7pm - 7:20pm, 8pm - 8:50pm, 9:30pm - 10:05pm, 10:45pm - 11:35pm, 12:40am -1am. America Gardens Theatre: Corazon A Contemporary American & Latin Band 7:20pm - 8pm, 8:50pm - 9:30pm, 10:05pm - 10:45pm, 12:05am -12:40am. Park hours on December 31 2018 are 9am to midnight. Fantastic! will play at 9:00pm and 10:30pm. Jingle Bell, Jingle BAM!, the nighttime holiday show will take place at 9:30pm. The nightly themed firework show, Star Wars: A Galactic Spectacular, will bring in the New Year with a special twist at midnight!